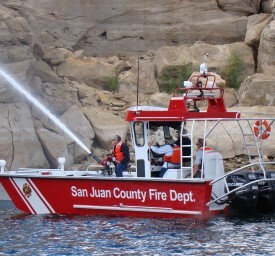 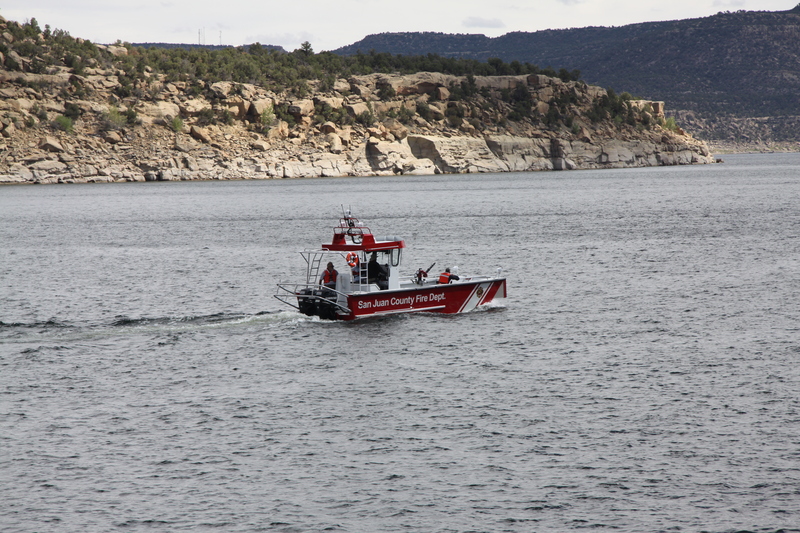 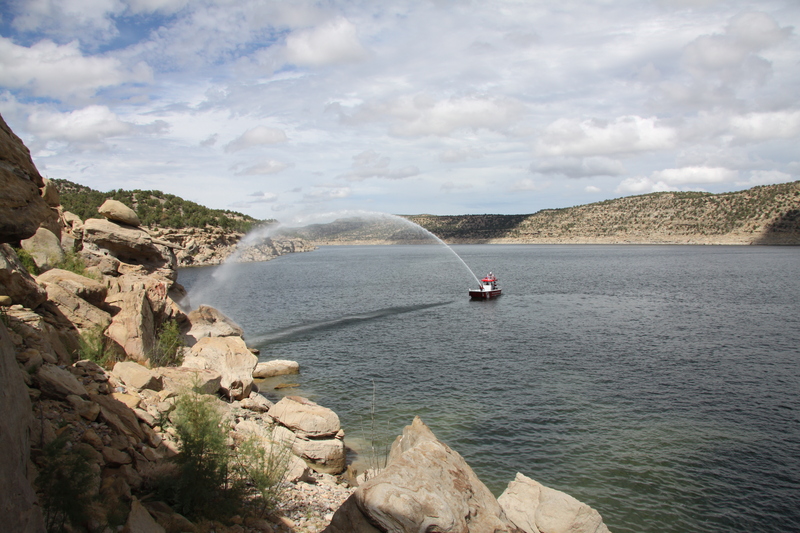 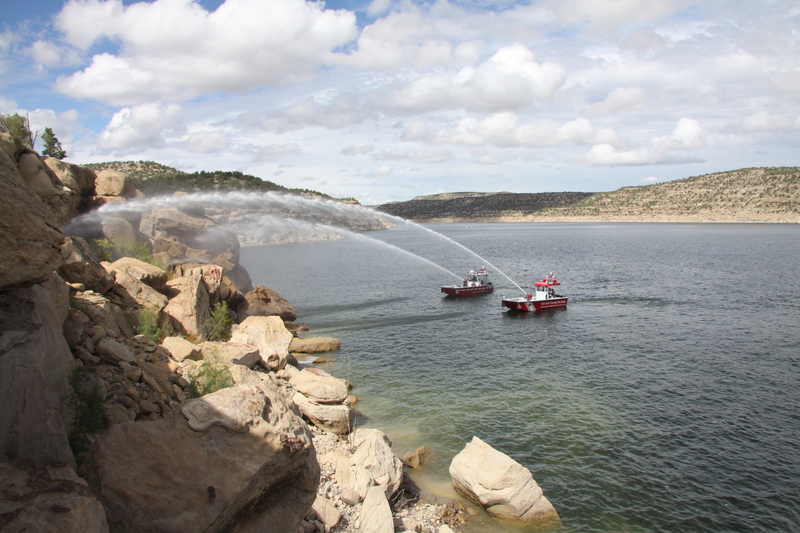 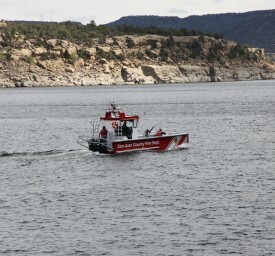 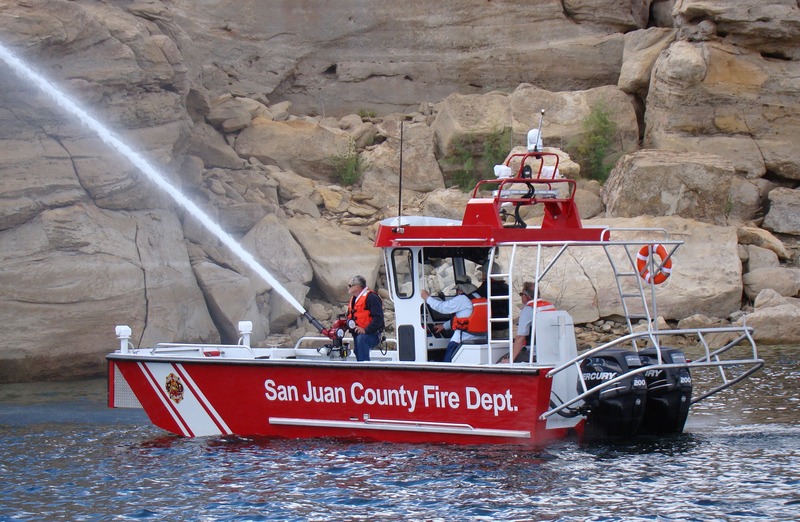 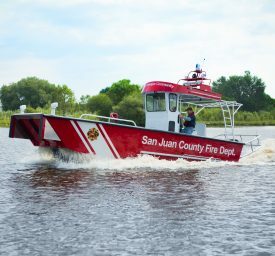 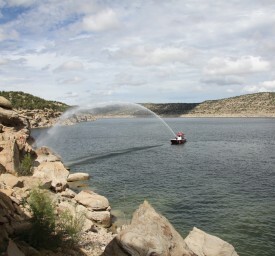 The San Juan County Fire Department provides fire protection and rescue services to a vast region of northwestern New Mexico, including a recreation and vacation area with a marina on Navajo Lake. 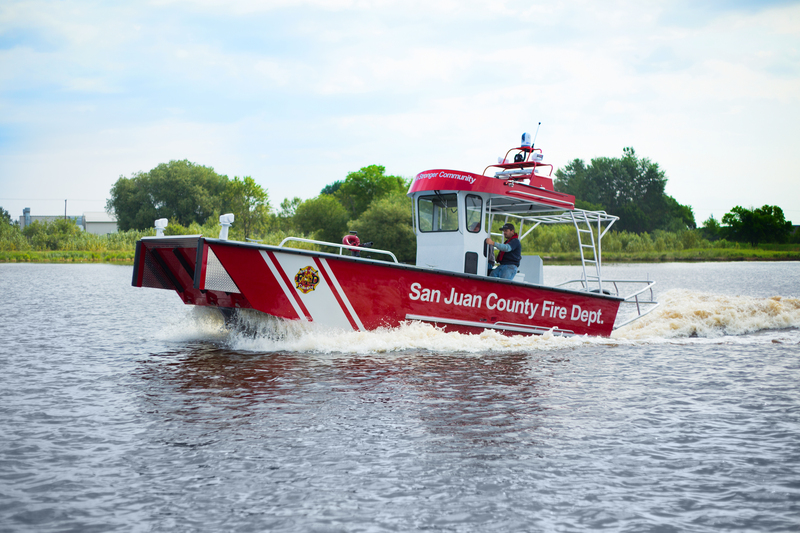 This is the first fire and rescue vessel that the department has owned, and it provides critical capability to help firefighters do their jobs, Fire Chief Doug Hatfield says. 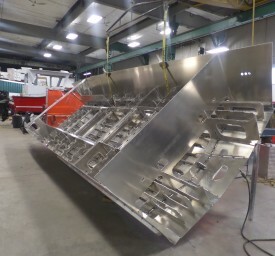 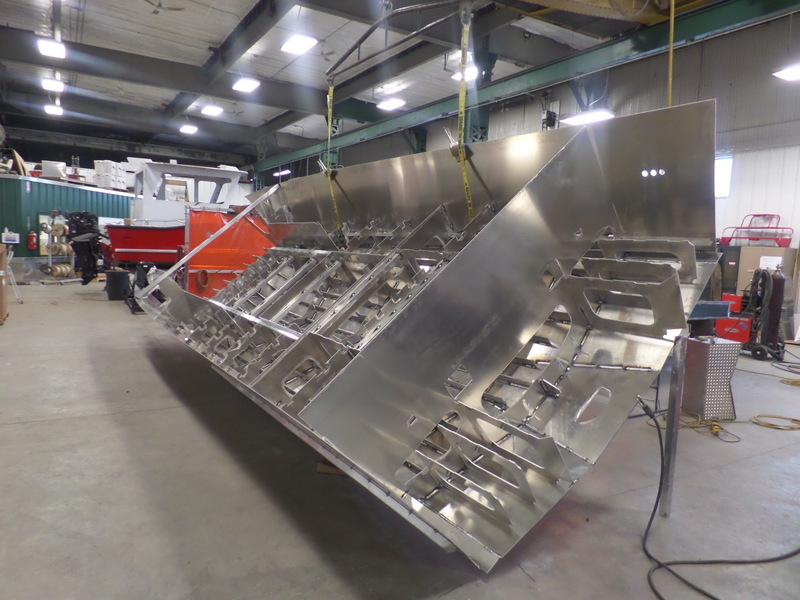 The all-welded, 26-foot aluminum landing craft is 26 feet long and 9.5 feet wide with a T-top pilot house, providing maximum deck space and crew maneuverability. 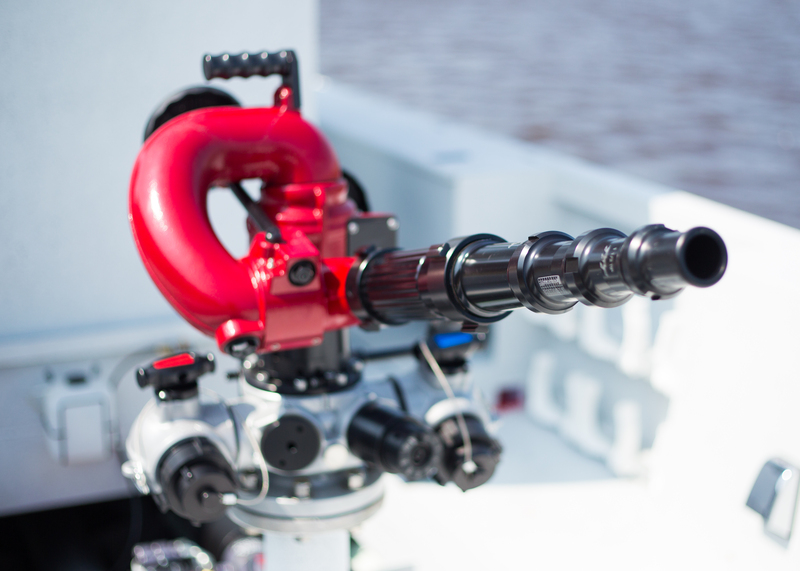 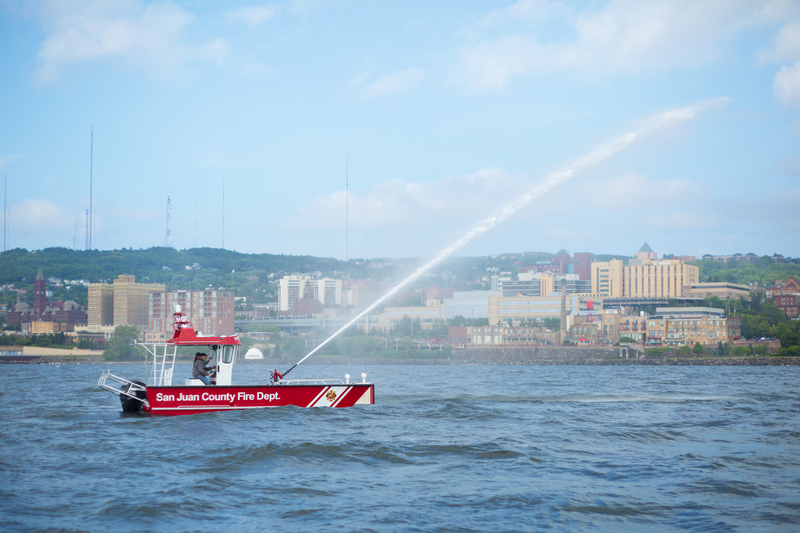 It has a 4.3-liter V6 marinized General Motors engine that drives a Darley fire pump delivering more than 1,000 gallons of water per minute. 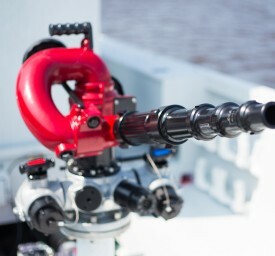 The powerful pump and engine combination was engineered to meet the demanding pumping requirements of this high-altitude region. 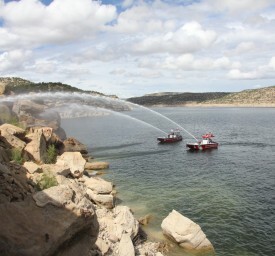 From the start, Hatfield says, Lake Assault helped firefighters understand what they needed in a fireboat. 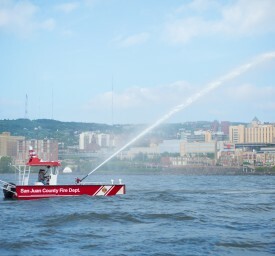 "We have been talking about this for some time, and now we have our boat, thanks to Lake Assault."